Get Your 2013 U.S. Proof Set Before Production Stops! The U.S. 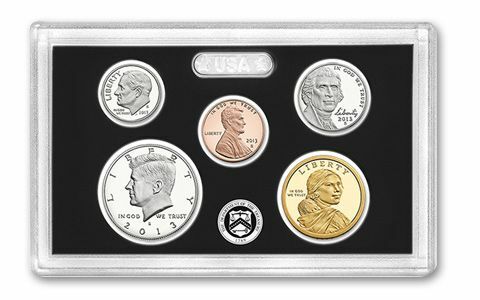 Proof Set is always one of our most popular coin sets. 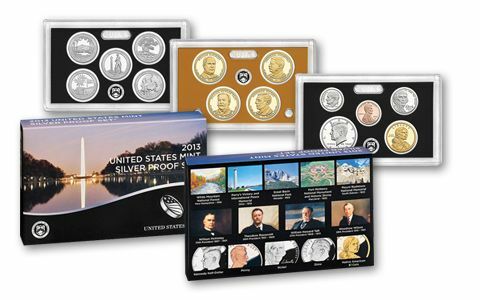 The 2013 set contains the copper-plated Lincoln Shield Cent, and Jefferson Nickel, Roosevelt Dime, America the Beautiful Quarters and Kennedy Half Dollar struck in cameo cupro-nickel-and the Presidential and Native American Golden Dollars. 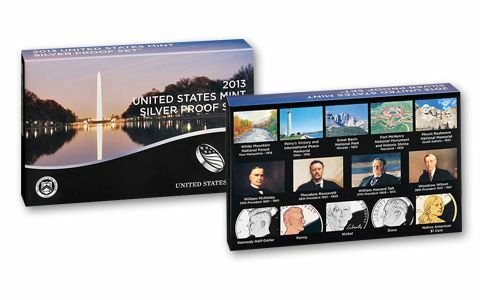 That's 14 coins total in the set, all in official U.S. Mint boxes. 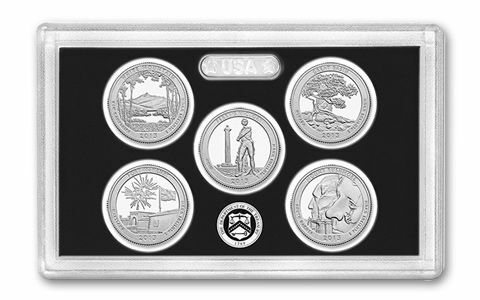 The cupro-nickel quarters depict: White Mountain National Forest, Perry's Victory Memorial, Great Basin National Park, Fort McHenry, Maryland, and Mount Rushmore. 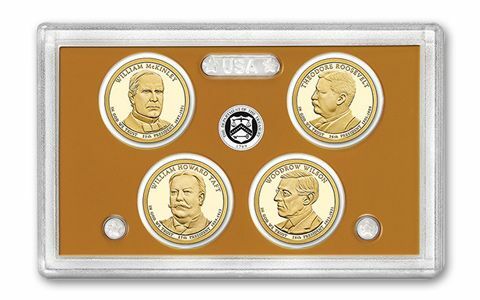 The set contains the William McKinley, Theodore Roosevelt, William Taft and Woodrow Wilson Presidential Dollars, and the new Native American Dollar featuring the 1778 Treaty with the Delawares. Proof sets make great gifts!